As his many friends know, British eDisclosure pioneer Nigel Murray has brain cancer. 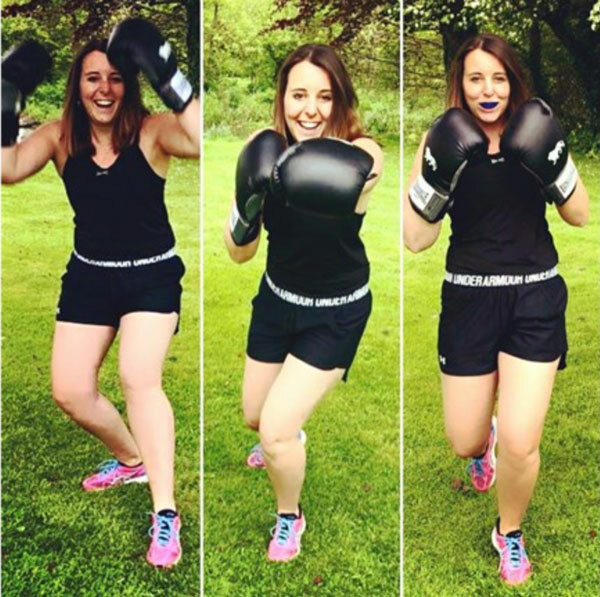 His daughter Sophie steps into a boxing ring tomorrow, 7 July, to raise money for Cancer Research UK. I invite you to sponsor her distinctly brave method of fund-raising. I met Nigel Murray at a litigation support drinks party in London on 15 December 1993 . We did pitches and educational sessions together – I recall in particular flogging up to Newcastle with him to be told by one large firm that their clients would have no interest in the kind of technology we told them about. With his company Trilantic, and later with Huron Consulting, Nigel organised sessions at the major US events on cross-border discovery back in the days when privacy was an unheard-of (and distinctly unwelcome) concept in US discovery. I took part in many of them – always fun, and always with that pleasure you get (I do anyway) when your message is not what the audience wants to hear but knows it must listen to. Nigel Murray led the way in helping US discovery people understand what was different about the EU and the UK. I have to say that Nigel seemed remarkably phlegmatic about his illness on the couple of occasions on which I have seen him recently. For someone so quintessentially English, it is fitting that one of those meetings was over lunch at Wiltons and the other was by the Grace Gate at Lord’s. I will be stepping into the ring on Saturday 7th July for a boxing match, and with only a few days to go until fight night, I have a mix of emotions flooding my mind and body. Excitement: I have trained over 4 times a week for the last 7 weeks and this is my time to show how far I have come. Plus, at the end of the fight I can have a drink (my first one in 8 weeks)! Happiness: I have lost over a stone and a half (10kg). A huge achievement for me and something that I am immensely proud of. Sadness: I am fighting for Cancer Research UK. As many of you are aware, my father has a terminal brain tumour and without the treatments he has received, it is unlikely that he would still be here – this is down to the research that CRUK do and also the incredible team at the Royal Marsden. I am doing this for him and for all those who are affected by this terrible illness. Gratefulness: I really am fortunate to have received such incredible support. I have around 50 friends coming to watch next Saturday and have raised nearly £1000 on my Just Giving page. In total, that is nearly £3000, all going straight towards Cancer Research. Thank you so much for taking the time to read this and thank you in advance for your support. As I write this, Sophie’s total has risen past £5,500. Good luck to Sophie. And all our very best wishes to Nigel Murray.